It is no secret, I enjoy a front door with a beautiful wreath! I have shared my wreath struggles on here before. I am so blessed by my friend Liz for many reasons! She is the one who taught me to start making my own beautiful wreaths. 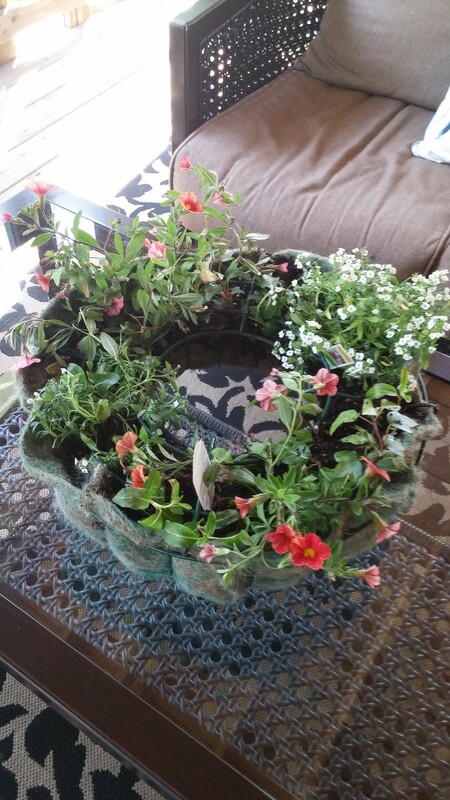 I recently saw online (where else haha) a living wreath and was excited to try it. 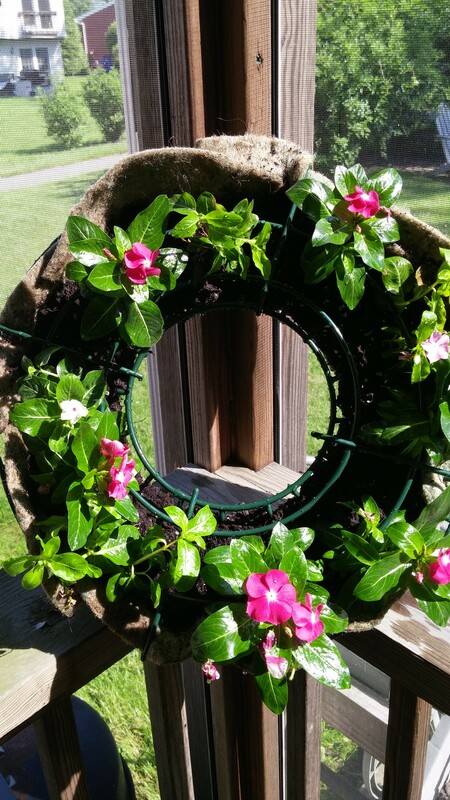 I LOVE flowers and planting so this was a perfect choice for a new wreath! Of course I involved Liz in my wreath madness! I purchased what I thought were the supplies we needed and she brought a few things as well. Well it didn’t work out so well! 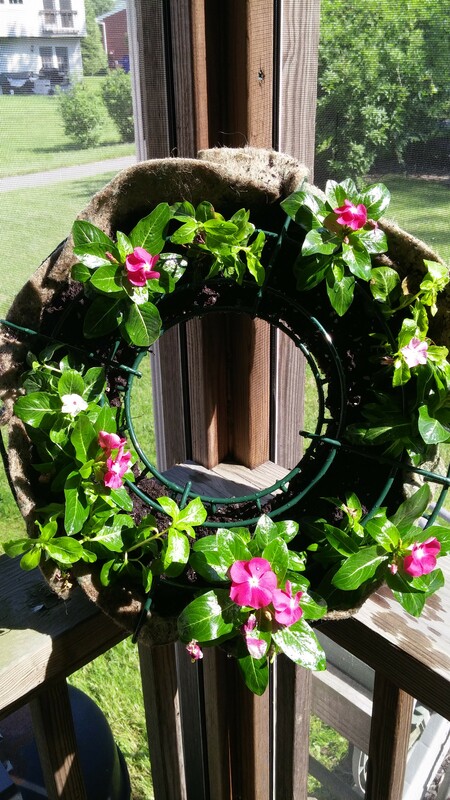 In order to make a living wreath, you need an actual Living Wreath form. The only place I could find one was from the Kinsman Company. kinsmangarden.com I was committed to this new wreath so I went ahead with it. The forms are not inexpensive but knowing that you can re use the form each year and change it out makes it worth it. Liz and I got together again and created these beauties! You simply use the form, it comes with instructions but it is super simple. 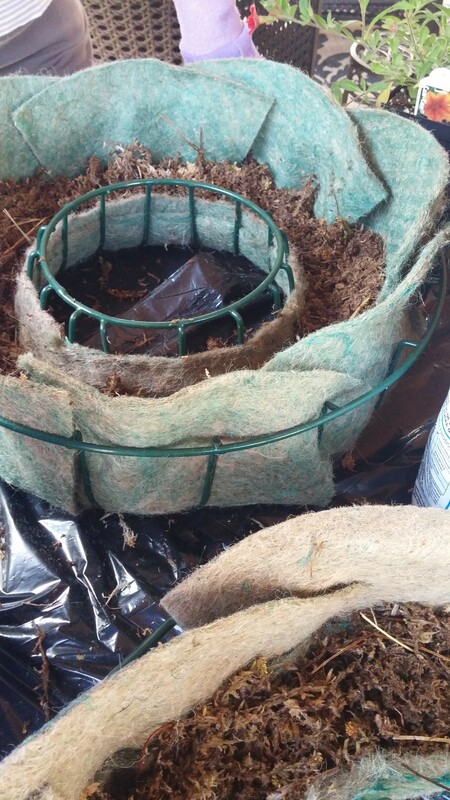 The form comes with a jute liner which allows your dirt to stay in the wreath. 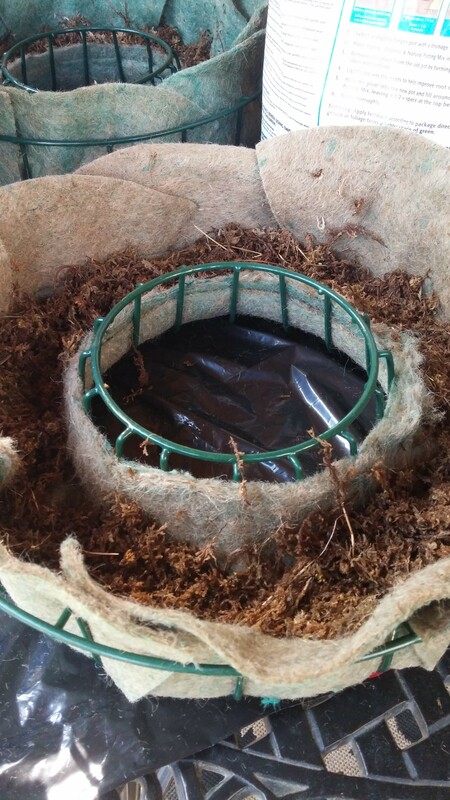 Place the liner in the form, fill with wet Spanga Moss, fill with a layer of soil, Then plant your beautiful flowers, adding more soil on top! 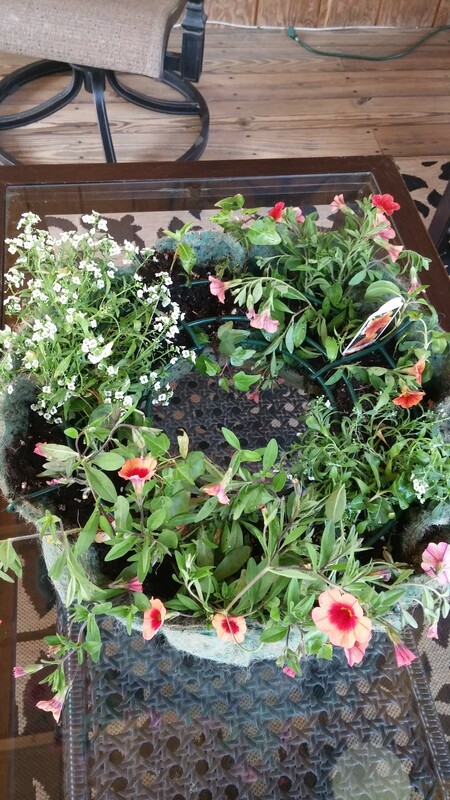 The form has a piece that goes on top over your flowers. It IS meant to be hung. We are a little nervous that the flowers might not hold as well hanging up. I did try it and it was fine. I prefer it sitting on my back porch table as a centerpiece. Eventually when I get around to it, I will place a large candle in the middle. Liz and I also started a Patriotic Wreath this same day, will share that in an upcoming post! Stay Tuned! The best part is always getting together and sharing something beautiful with a friend!